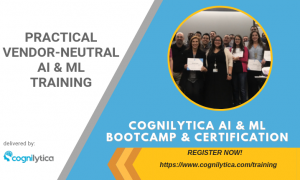 As Artificial Intelligence continues to become a focus for an increasing number of enterprises, these organizations are realizing how important it is to have the right people and skills in place. Increasingly, companies are hiring data scientists, and demand for data scientists has led to the talent crunch that we’re seeing across many enterprises and organizations. Companies are searching and competing for increasingly scarce data scientists. Salaries and signing bonuses for skilled data scientists continue to skyrocket. So, this makes us ask the question: are data scientists always needed by these organizations? 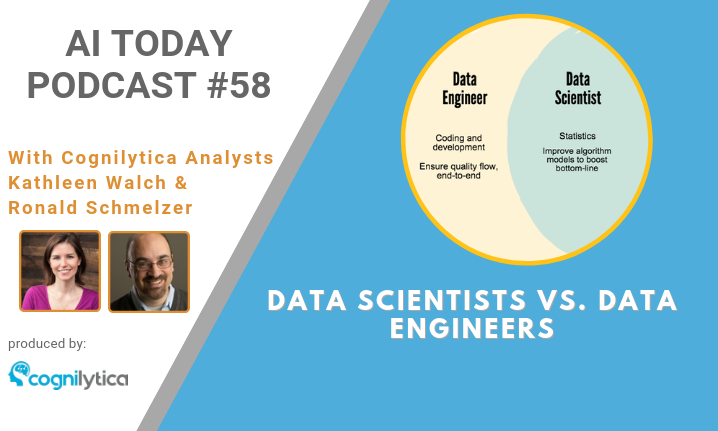 Many enterprises, vendors, and startups often confuse the role of data scientist and data engineers. While these different roles share some traits and skills, at their core these are job descriptions that have two very different skill sets that are not easily interchangeable. Listen to this podcast as hosts Kathleen Walch and Ron Schmelzer dive into this issue.